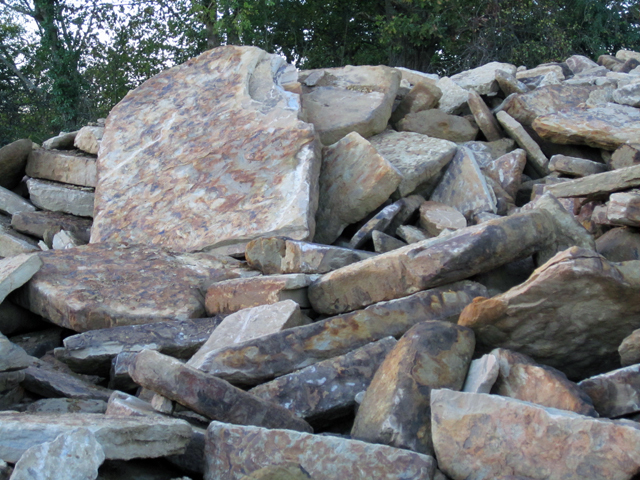 On Monday I visited the Horsham Stone quarry in West Sussex with my local Society of Garden Designer’s cluster group. We had a tour of the site and learnt a bit more about the stone itself, which has been used for centuries in the surrounding area and further afield. 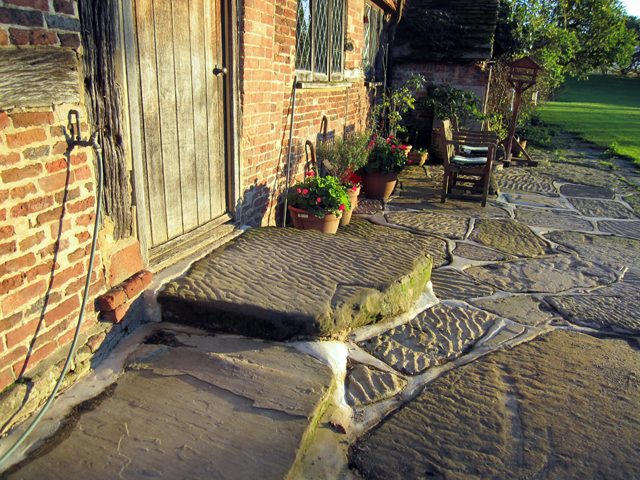 Horsham stone is a sandstone that’s famous for the fossilised ripple marks on its surface. It looks just like a sandy beach when the tide goes out. Not all the stone has this texture so often these large feature pieces are used for threshold steps, hearths or for areas where people want to make a feature of the stone. The quarrying takes place for just two months of the year, during the summer months when the land is dry. Only a 20m wide strip of field is excavated at a time and care is taken to replace the earth when the quarrying has finished which means that the land can be used for growing crops from the following year. 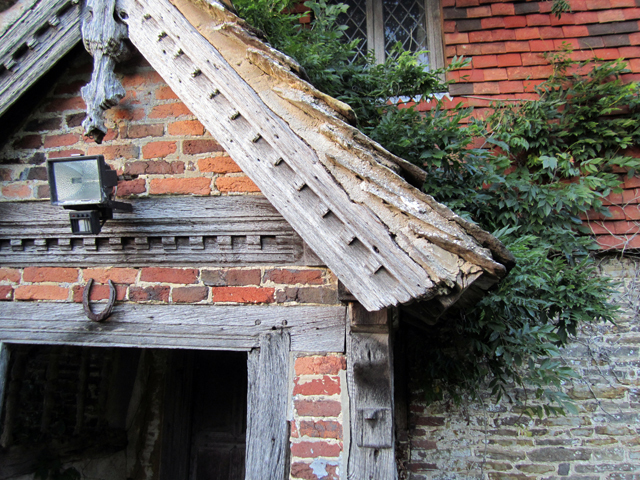 It has many uses, from walling stone to paving to roof tiles and can be seen used in buildings such as Kensington Palace and many historic churches across Sussex, Surrey and Kent. There’s also evidence of it being used by the Romans nearly 2,000 years ago. 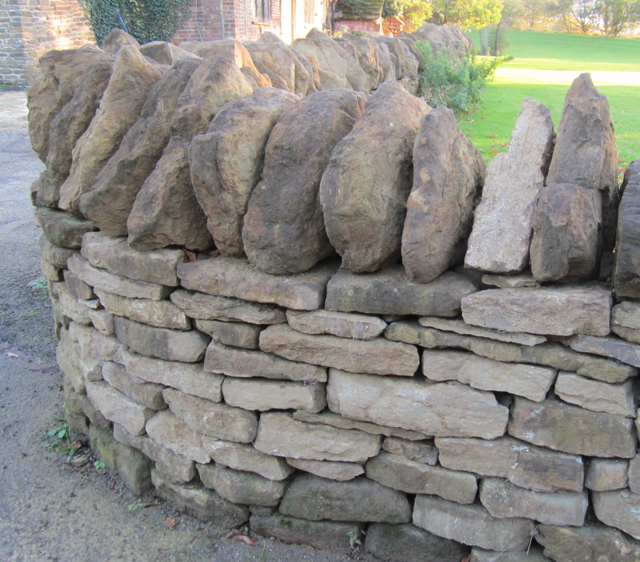 It’s a gorgeous stone, quite similar to reclaimed York stone, but with a much richer colour. Because of the nature in which the stone is quarried, they never quite know what they’ll find each year they have a large enough stock on site to cover most orders. 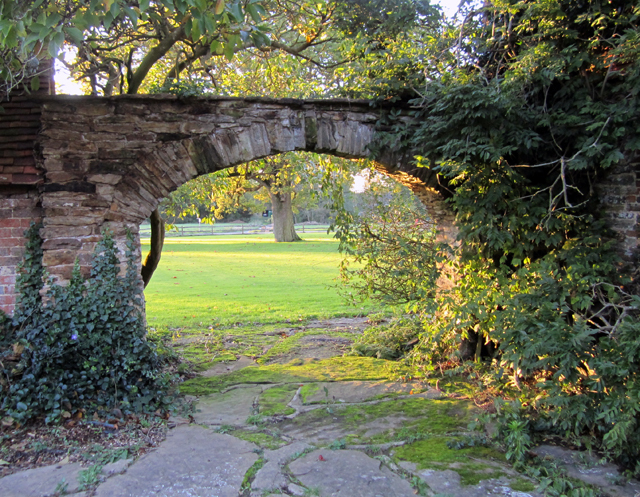 It’s certainly worth investigating if you’re looking for a local stone to use in the garden. I know I’ll be considering it for future projects. Horsham Stone was produced by the Michells of Stammerham of Horsham between the 15th to the early 18th century and a junior branch of the senior branch of the Michells of Ockenden Manor of Cuckfield (Lords of the Manor) my ancestord. If you require information on the stone please free to contact myself on my Email address anytime. From Rt Hon de Mont Saint’e Michel de l’Aigle – Wayne Quinnell. Thank you. I am very interested in information about the points of extraction of Roofing grade Horsham stone in the Stammerham area. Do you have information that you are happy to share?